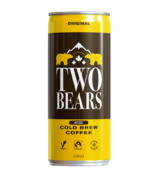 With it's great taste and distinctive branding, Two Bears is ready to become Canada's favourite bottled cold brew coffee. 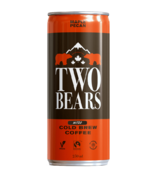 Two Bears starts with premium direct trade beans from a local Toronto craft roaster, then they give it a New Orleans twist by adding chicory. Their unique blend is then steeped in cold water for 16 hours, filtered and hand bottled. 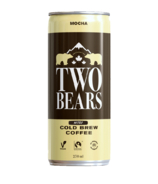 This cold extraction process results in a rich, smooth coffee concentrate with a natural subtle sweetness. No sugar added or needed!